Yayy, Happit is the Microsoft 2018 ISV Partner Solution of the Year in Finland. Happit was honored among a field of Microsoft top partners for demonstrating innovativeness, competitive differentiation and customer value. Finland is a forerunner in cloud consumption and Happit is in the frontline in exporting the Finnish IT and education know-how. Happit Single Click Learning was named the Microsoft 2018 ISV Partner Solution of the Year in Finland due to its capability to enhance cloud adoption by focusing on people’s motivation and competencies. Happit is an excellent way to support every users in their learning processes in all industries. “Happit is an excellent way to support every users in their learning processes in all industries. New applications are constantly being deployed, but if users don’t have the motivation to learn how to use the them organizations don’t achieve the full potential of technology. 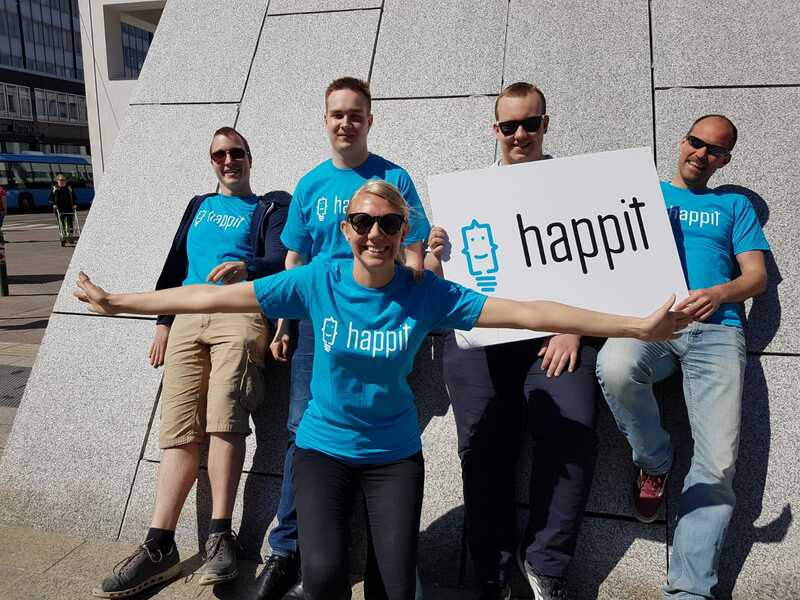 Happit helps in this by providing instant help for users from the application’s UI”, says Jarkko Lainio, Partner Development Lead, Microsoft Finland. Finalists were chosen from a set of more than 2,600 entrants from countries worldwide. Being recognized by Microsoft demonstrates our ability to support Microsoft’s ecosystem with our innovative service. At the same time it underlines our findings from the market: based on our customer study on media industry 98% of users prefer Happit over traditional training when it comes to learning how to use cloud based software. Whereas, digital broadcasting company MTV trained their sales division to use Dynamics CRM and to align work methods through the company. With Happit we are determined to address the biggest issues of IT industry: how to ensue adoption of new working habits as digitalization of the business world continues. Building Success through Clobal Partner Network – Thank you #HappitFamily! Technology itself cannot enable ongoing digital transformation, but the user training and support for new technology and ways of working are the key. As Microsoft strategy was updated for the current fiscal to promote more user adoption and technology consumption over license sales, we knew we had the perfect opportunity to help Microsoft’s extensive partner network change their skill set towards this critical challenge. In the beginning of the year we raised a 1M€ funding from Business Finland to accelerate internationalization. Under six months we have been able to establish a steadily growing partner network in Microsoft ecosystem. We couldn’t be more proud of our forward thinking partners who see user adoption as a critical part of their service models and value creation. Cheers to #HappitFamily! Frustration kills motivation. This is why we want to build world where learning and finding a solution is as simple as possible. At Happit our mission is to bring learning one click away, so that employees can be more productive and happy. No manuals, no searching. Zero fuzz. #JustHappit! This is just the beginning for us. Together with our partners and customers we continue the #HappiTimes journey for building happier workday experiences.